Meghan participated in a panel discussion in honor of International Women’s Day on March 8th! Earlier that morning, it was announced that Markle would become the Vice President of the Queen’s Commonwealth Trust, of which her husband is acting President of the organization! 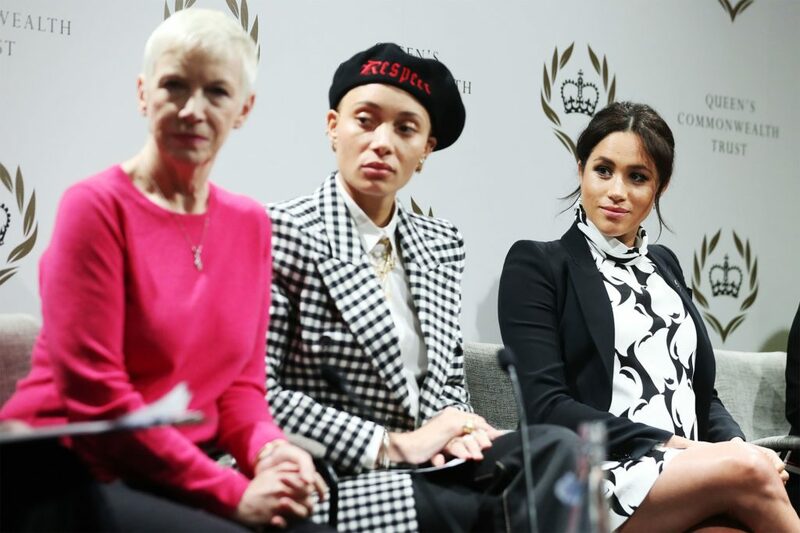 The Queen’s Commonwealth Trust brought the Duchess of Sussex together with some other leading activists and inspiring women such as Adwoa Aboah, Chrisann Jarrett, Annie Lennox and more for a panel at King’s College London. 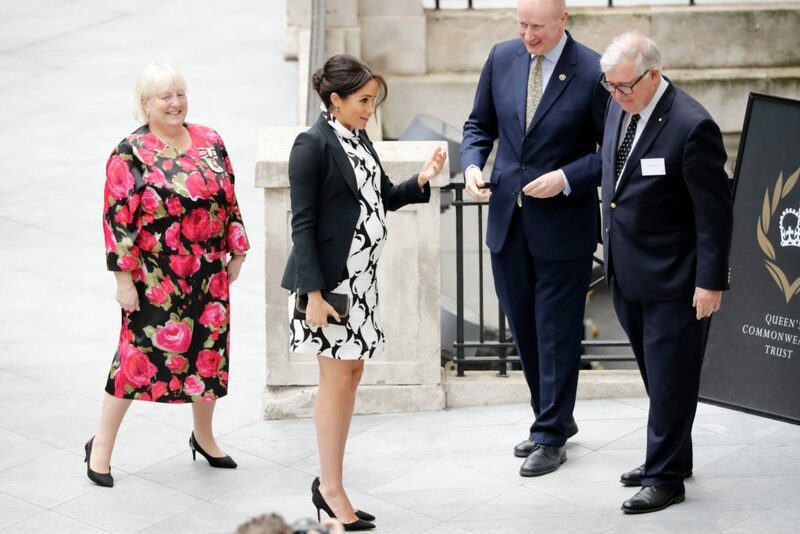 For this daytime occasion, Meghan opted for a printed Reiss dress, her Alexander McQueen black Grain de Poudre blazer (she’s worn this a number of times! ), classic black Manolo Blahnik BB pumps and her Stella McCartney Falabella clutch she’s worn before. See more photos from the event and shop her look below!